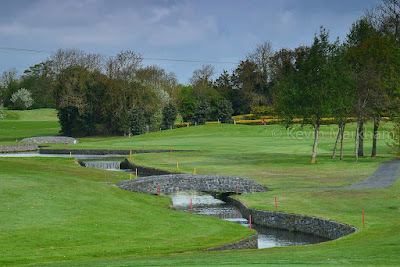 In a day and age where Irish golf clubs continue their struggles to build and retain membership it is rewarding to see more enterprising approaches being taken. The idea of reciprocal playing rights is not new... but what Corrstown and Forrest Little have done is to break these barriers down further. In part that is because they are immediate neighbours... and in part it is the level of access these clubs are offering their members. Anyone looking to join one (or both) of these clubs can avail of a special offer - see end of this blog post. A full membership at one club now offers a complimentary 5-day membership at the other club. Membership at the other club free of charge... including select competition play. The primary objective is to reward loyal members of both clubs by providing added value to their membership fees. It's fair to say that being allowed to play another course for free is 'added value' on a substantial scale. Swap courses week to week or, if you're like my dad who plays twice a week, take your pick of which course to play based on how busy they are on particular days. 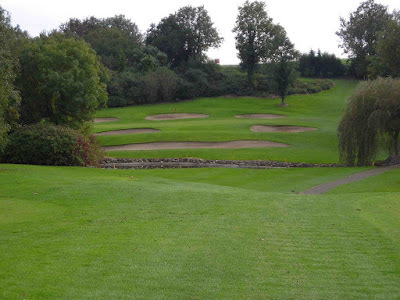 It's a win-win which should, I expect, encourage members to invite friends to play and therefore spread the word of both the innovative package and the strengths of both courses. 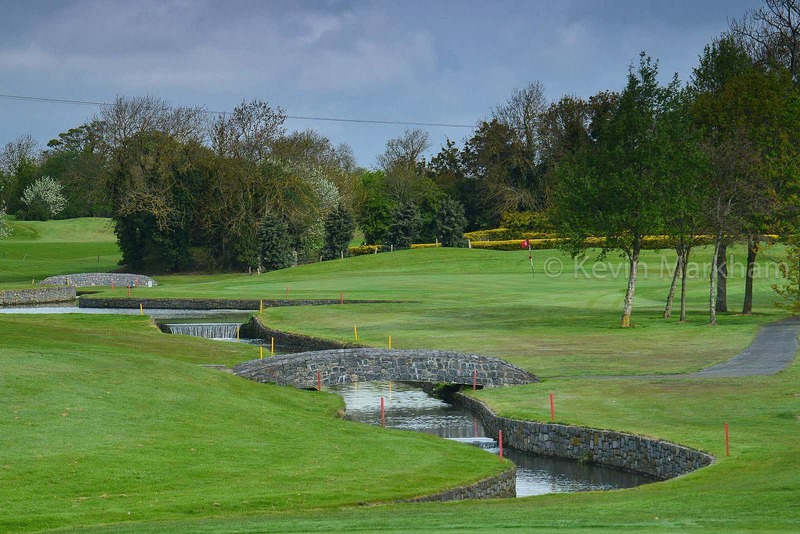 Approach to the 9th at Corrstown. In all, there are 45 holes to choose from: 18 at Forrest Little and 27 at Corrstown. The clubs are 5 miles apart. Pictured: Forrest Little Mens and Ladies Captains Ray Gregan & Laura Dooley, Forrest Little Chairman Peter Reilly. Oliver Boyce, Chairman at Corrstown GC, said: “We have been thinking of this concept for a while as part of our strategy to both reward and retain loyal members by giving them greater value for money. 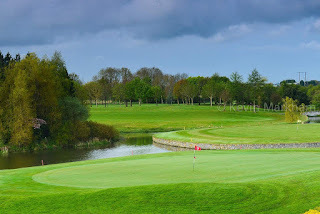 The city club connection to a country club type of membership has been done already - we were keen to offer something completely different to our members. It had to be a top golf course that we linked with, so it was fantastic to find a like-minded management team at Forrest Little who embraced the idea. 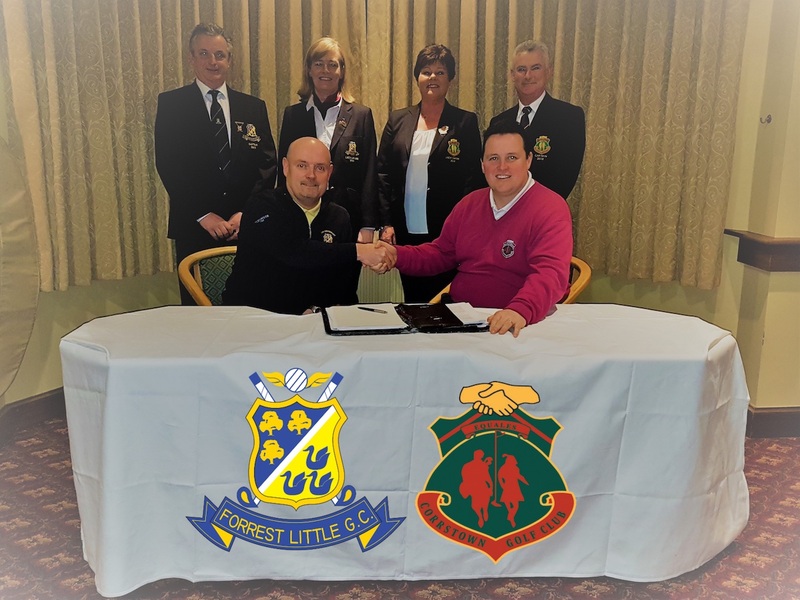 Peter Reilly, Chairman of Forrest Little GC, added: “We share the same core values as Corrstown and a key focus for us is adding value to our membership. The similarity in club profile between our two clubs and the different course challenges make this partnership not only workable, but also hugely beneficial to our plans for future growth. The arrangement is for a trial period of one year initially and is free to existing members. The first 20 new members joining either club from today can avail of a special introductory rate by quoting: #45.